Salmon stocks appear to be booming this year. Almost all of the rivers surveyed show increased salmon numbers which allows for cautious optimism over the future health of salmon populations. Recreational anglers, in the UK, form a unique section of the public in that, in some areas, they also manage the section of the river where they own or rent the fishing rights. Anglers, therefore differ from the general public who typically have no direct involvement in environmental management. The level of management is dependent on numerous factors such as environmental conditions, club finances, and the attitudes of members; but actions include stocking fish, culling predators, dredging channels, stabilising banks and removing vegetation. A recent study in Transactions of the Institute of British Geographers investigates recreational anglers in the UK, and specifically the relationships between attitudes regarding environmental change and management. They found that anglers hold a diverse range of attitudes, and suggest that the more people engage with the environment the more diverse and deeply held their opinions become. It was further suggested that anglers should be regarded as ‘lay environmental managers’ rather than lay public when investigating attitudes towards the environment and environmental change. An interesting question is whether the stewardship activities of recreational anglers played any role in this year’s increased salmon run. Eden, Sally and Bear, Christopher (2011). Models of equilibrium, natural agency and environmental change: lay ecologies in UK recreational angling. Transactions of the Institute of British Geographers, 36(3): 393-407. McKie, Robin. Salmon numbers leap to reverse two decades of decline in UK rivers. The Observer. 26 June 2011. Record salmon count for River Tyne. BBC News. 26 June 2011. This entry was posted in Uncategorized and tagged attitudes, Christopher Bear, Cultural Geography, Environment and Society, environmental change, Hydrology and Water Resources, management, recreational angling, Sally Eden, salmon stocks on July 7, 2011 by cdoug. Remotely Piloted Vehicles in Ecological Research? Remotely Piloted Vehicles (RPVs) are fixed or rotary winged aircraft operated without a pilot on board. There are three main types of RPVs: small-scale, tactical, and endurance RPVs which are able to operate at differing altitudes and ranges. Hardin and Hardin (2010) wrote in Geography Compass about the application of small-scale remotely piloted vehicles in environmental research. Current applications include habitat/wildlife management and agricultural monitoring. Most uses involve taking aerial photography to monitor wildlife/vegetation populations and assess crop damage, but some applications involve biological sampling such as the collection of pollen and insects. Potential future uses include tasks that may be too dangerous for manned operations because the monitoring is taking place in hazardous areas. For example, a common problem with traditional aerial photography is cloud cover, and RPVs can be flown below the clouds. Financial and technological hurdles prevent RPVs from being more widely adopted in ecological research; however, RPVs have been developed and successfully used at the Zoological Society of London. A remotely operated ‘toy’ helicopter is flown through the ‘blows’ of whales to collect mucous and gas samples in order to study whale diseases. There appears to be a cautious but optimistic future for RPVs in ecological research. Hardin, P. and Hardin, T. 2010. Small-Scale Remotely Piloted Vehicles in Environmental Research. Geography Compass, 4(9): 1297-1311. The Institute of Zoology, 2008. Toy helicopter used to sample whale health. Zoological Society of London Website. This entry was posted in Uncategorized and tagged agriculture, Earth Observation, Environment and Society, Fieldwork, Global Issues, Hydrology and Water Resources, Institute of Zoology, Karina Acevedo-Whitehouse, Perry Hardin, Remotely Piloted Vehicles, RPV, Thomas Hardin, whales, wildlife epidemiology, wildlife monitoring, Zoological Society of London on June 9, 2011 by cdoug. The Arctic covers 5% of the total land mass of the earth and reaches across every longitude: it is important. It is estimated that 1.4 times more carbon is stored in permafrost than is currently circulating in the atmosphere, and there is 1.5 times more carbon in permafrost than is currently being stored in all the earth’s vegetation. William Bowden (2010) outlines this in a Geography Compass article, and explains the relationships between permafrost, thermokarsts and climate change. Permafrost is soil or rock which remains below 0oC for at least 2-3 years at a time. When permafrost thaws it loses its internal structure and subsides unevenly, and the resulting formation is called thermokarst. The transition from permafrost to thermokarst has important hydrological, geomorphological, biogeochemical and ecological importance to arctic landscapes. Globally, this transition may also release the stored carbon which, due to microbial processes, may be released as carbon dioxide or methane. In April, a special edition on climate change was published by the journal, Philosophical Transactions of the Royal Society. It outlined key research questions required to better understand the impact of greenhouse gases on climate change. The arctic was prominently featured, and in particular the concern over permafrost melt and potential methane release. Scientists seem to agree that research is needed to understand the transitional process from permafrost to thermokarsts and the possible implications on the global climate. Scientists call for climate change early-warning system. The Guardian. April 18th 2011. This entry was posted in Geography Compass and tagged Arctic, Climate change, Climatology, Environment and Society, Global Issues, Hydrology and Water Resources, permafrost, scale, thermokarst, William Bowden on May 12, 2011 by cdoug. April 20th marked the one year anniversary of the largest accidental oil spill into an ocean that released 4.9 million barrels of oil into the Gulf of Mexico. Not long after the accident, I wrote a post on this website about the geopolitics of oil supply referencing Michael Bradshaw’s article on the Geopolitics of Global Energy Security. The stats Bradshaw provides on both the major suppliers of oil, and the countries with the largest reserves, still intrigues me. The Society of Biology, on the one year anniversary, released a briefing on the spill which provided numerous links to news articles and official sites. The environmental impacts remain uncertain, with some people saying that the impact is less than anticipated, while others say that the full impacts will only be felt in the long-term. The answer to my question of last year– will this disaster lead to a push for renewable energies, or lead to the exploration and exploitation of oil in more remote areas of the globe- remains largely unanswered. Bradshaw, M. 2009. Geopolitics of Global Energy Security. Geography Compass, 3(5): 1920-1937. Society of Biology, 2011. Deepwater Horizon: what does 4.9m barrels of oil mean one year on? This entry was posted in Uncategorized and tagged crude oil, Deepwater Horizon, Environment and Society, Global Issues, Gulf of Mexico, Hydrology and Water Resources, Michael Bradshaw, Oil spill, Society of Biology on April 28, 2011 by cdoug. The recently imposed no-fly zone in Libya has brought to our attention the topic of sovereign airspace. A country’s airspace is interesting in that although it is less tangible and invisible in comparison to other military installations (such as Navy dockyards) it has an important role in both military training and geopolitical power projection. 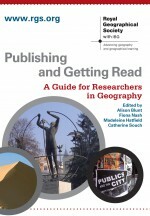 This topic is discussed by Alison Williams in her timely article in Transactions of the Institute of British Geographers. Britain first declared sovereignty over its airspace in 1911, and The Chicago Convention on International Civil Aviation in 1944 granted all signatory states sovereignty over the airspace above their land and maritime territories (and remains the most influential treaty today). Williams uses UK airspace as a case study to illustrate how airspace can be perceived as a multiple and complex geopolitical zone. Williams’ argues that airspace should be referred to as airspaces as the region is actually composed of vertical and horizontal overlapping and intersecting sub-sections and should therefore be appropriately referred to in the plural form. What makes Williams’ article so interesting is that it illustrates how the entity of ‘airspace’ is dependent on the scale at which it is examined. At an international scale airspace is a single homogeneous entity of a specific country whereas within a country, as Williams argues, it is much more heterogeneous. In this way a country’s airspace is far more complex than previously regarded. Williams, A. 2010. Reconceptualising spaces of the air: performing the multiple spatialities of UK military airspaces. Transactions of the Institute of British Geographers, 36 (2): 253-267. This entry was posted in Uncategorized and tagged airspace, Alison Williams, Chicago Convention on International Civil Aviation, Environment and Society, Global Issues, military, Scale, Social Geography on April 14, 2011 by cdoug.